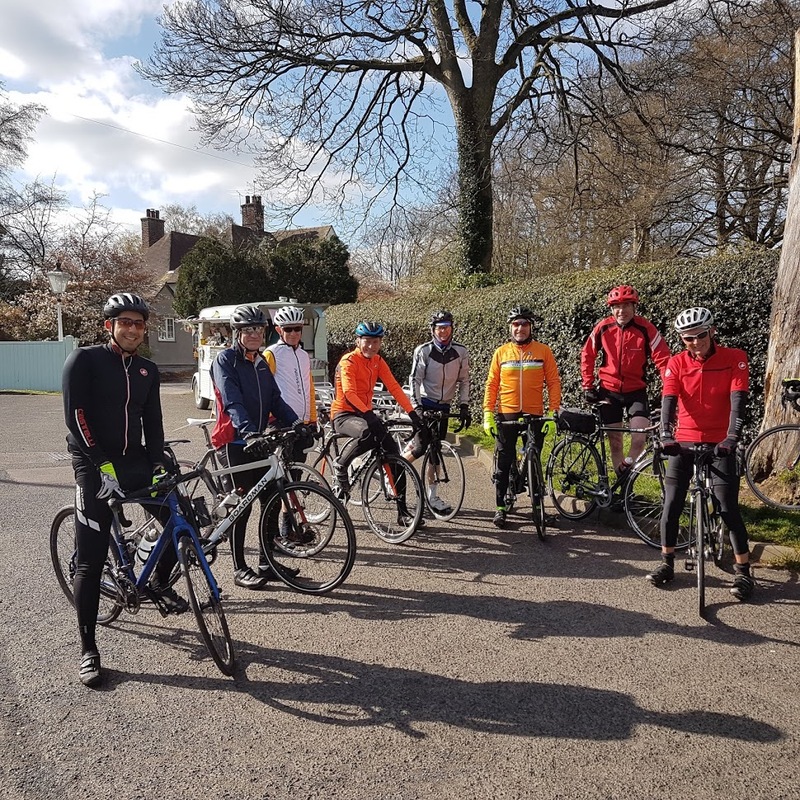 Nine riders on the start line for our Wednesday ride to Winkhill, with two more meeting us at the Cottage Kitchen on the Leek to Ashbourne road (soya milk and vegan margarine available). After my cold I wasn’t sorry that we omitted two or three big climbs on the way out from the indicative route published on the calendar. We’ll try and publish at least a destination and hopefully a route as well from now on, although the route is likely to continue to be only an indication and not cast in stone, so if you want to meet us on the way, best to contact us first to avoid waiting at a junction we are miles away from (yes, it happens). 48 miles total for me at an average 11.7 mph. 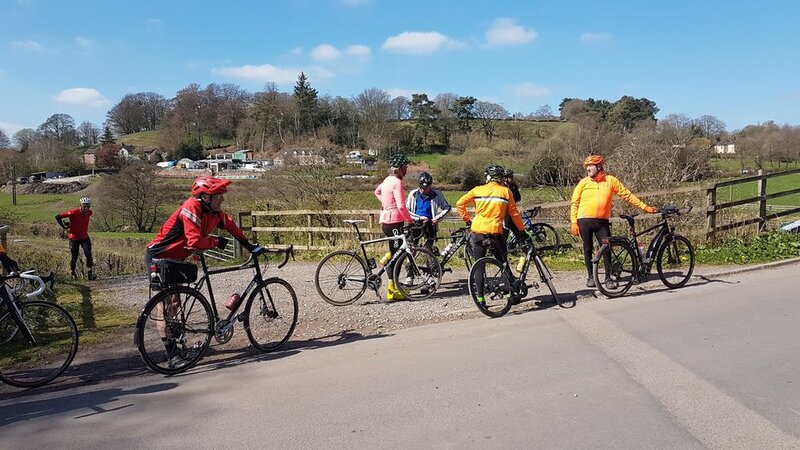 I was struggling, but it was all worth it just to enjoy Simon’s inspired closed-road-avoiding diversion for a couple of miles along the towpath of the absolutely beautiful Caldon Canal, a first for all of us I believe, except him. More like that please. Base Camp 1000 hours: Ali, Phil, Jack, Dave, Dave, Pete, Raph, Moray.